At Pier32, we're picky about our suppliers. They have to work to internationally recognised ethical and environmental standards, and be open and transparent about their working practices. In a new and on-going thread at The View, we're going to highlight some of our more popular brands and the reasons why we use them. First up, the daddy of ethical brands: Fruit Of The Loom. Fruit of the Loom has been going for a lot longer than you might think. The firm was started in 1851 when brothers Benjamin and Robert Knight bought their first mill and started producing cotton cloth and textiles in Warwick, Rhode Island. In 1871, Fruit of the Loom® was registered as an official trademark. That makes it one of the world's oldest brands, predating the invention of light bulbs, cars and telephones! More than 160 years later, Fruit of the Loom is now a global underwear and casualwear business, employing more than 32,000 people worldwide. It's instantly recognisable and almost ubiquitous. You most likely have an article of Fruit clothing in your drawers or wardrobes right now. The responsible attitude to workers, materials and processes that is becoming something to shout about for many companies has been part of the DNA of Fruit Of The Loom since the beginning. The Fruit Code sets out the way they expect their suppliers and manufacturers and all their workers, low to high, to treat each other and the planet. In short, with respect. This means simple things, like respect for religious holidays, fair pay, even dental plans for their workers. But it permeates through every part of the business. Let's take, for example, their flagship European plant in Morocco. Every aspect has been designed with care and forward thinking, with the environment firmly in mind at each step. All the service pipes are underground, saving ceiling height and reducing air conditioning. Water is a precious resource in Morocco, so it was important to invest in facilities and processes that improve the water supply for the local community. The innovative water treatment plant used at the Fruit factory cleanses the water used in the manufacturing process so when it re-enters the local supply, it's never been cleaner. Up to 65% of the water used in the dyeing process is recycled. The dye-house itself has a heat exchange system that keeps water at a constant temperature and vastly reduces the amount of energy needed to heat it. The Fruit Of The Loom commitment to open-end yarn manufacture also means that they use 30% less energy and produce 23% less wastage - vital when you look at the vast output of the factory--just under one billion garments to date. This also reduces the burden on landfill by reducing bale wraps and packaging. That's just one example of the hard work the company put into their responsibility towards their workforce and the environment. This has been recognised, as Fruit Of The Loom are now WRAP-certified. WRAP (Worldwide Responsible Accredited Production) is the world's largest facility certification programme and whilst it is supported by the global apparel industry, it is totally independent. WRAP is dedicated to ensuring lawful, humane and ethical manufacturing throughout the world. In order to receive certification, suppliers are regularly audited and must comply with the 12 WRAP principles. These relate to areas such as workplace regulations, child labour, hours of work, health and safety, discrimination and security. WRAP certification is a big deal. It's a globally trusted standard, that shows how Fruit of the Loom operates within the highest ethical and environmental standards. At Pier32 we're proud to be associated with the brand, and happy to offer their extensive range to you. 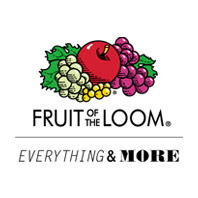 To find out more about Fruit Of The Loom at Pier32, check out the brand page.